When he announced his presidential bid, Donald Trump promised to “build a great wall,” paid for by Mexico. That promise became a fixture on the campaign trail, spawning “Build that wall!” chants at rallies that have continued months and years after Trump took office. And a proposed border wall became the epicenter of the recent government shutdown — the longest in U.S. history. Today, a border wall hasn’t materialized, and Mexico is still not paying for it. But focus on a border wall has obscured the Trump administration’s other efforts to reshape U.S. immigration policy in lasting ways. These include the high-profile separation of families at the border, a travel ban for those from several Muslim-majority countries, and attempts to end the Obama-era DACA program that offered deportation protections for so-called “Dreamers” brought illegally to the U.S. as children, as well as other policy shifts that don’t get nearly as much attention. “You tend to think of the president and the White House as kind of such a wild card. But when it comes to broader themes and immigration, they’ve been extremely consistent,” said Sarah Pierce, a policy analyst at the Migration Policy Institute. “From the campaign trail, this administration has viewed immigration as a threat to economic security and the security of the country in general,” Pierce added. Americans list immigration among their top concerns for the year ahead. Trump highlighted his signature policy issue in the State of the Union address Tuesday, touting “plans for a new physical barrier.” But here’s a closer look at the other ways he has changed immigration policy since taking office. The border wall fight has largely overshadowed the many ways the administration has increased enforcement within the U.S. One of the administration’s most successful enforcement strategies has centered on “recalcitrant countries,” or countries that refuse to take their deported nationals back from the U.S. The official number of signed in January 2017 that allows the government to target “uncooperative” nations whose nationals have been deported from the U.S., either for overstaying their visas or entering the country illegally, among other reasons. The executive order said the administration would focus on removing immigrants who “present a significant threat to national security and public safety” in the U.S., especially those who commit crimes. Since Trump signed the order, his administration has used the threat of visa sanctions to get so-called recalcitrant countries to cooperate and take back deported citizens. The U.S. has slapped visa sanctions on several countries, including Cambodia, Eritrea, Guinea, Sierra Leone, Burma and Laos. Just last week, the Department of Homeland Securityannounced visa sanctions against Ghana, saying that the West African country “failed to live up to its obligations under international law” in accepting the return of an unspecified number of nationals who were formally removed from the U.S. But there has been pushback to the administration’s efforts. As of May 2018, there were 8,634 Vietnamese nationals in the U.S. with a final order of removal, putting them at risk of deportation. Of those, 7,781 have criminal convictions, ICE said, though it’s not immediately clear how those convictions are defined. The talks between the two countries drew protests from Vietnamese communities in southern California, New Orleans and Houston. About a year ago, federal immigration enforcement agents conducted raids at nearly 100 7-Eleven convenience stores in 17 states and the nation’s capital, resulting in the arrests of dozens of undocumented workers. Raids themselves are not new, but the Trump administration’s approach differs from previous administrations. Toward the tail end of his second term, President George W. Bush favored “flashy” enforcement strategies that focused on arresting and prosecuting unauthorized workers rather than the employers themselves, said Pierce of the Migration Policy Institute. In 2008, for instance, about 1,000 ICE agents raided a meatpacking plant in Postville, Iowa. Afterward, nearly 400 immigrants were arrested. Most were eventually deported. That changed under President Barack Obama, who opted for “desktop audits,” an administrative approach that scrutinized the employers’ paperwork — instead of the employees’ immigration documents — and often gave companies advanced notice of enforcement actions. 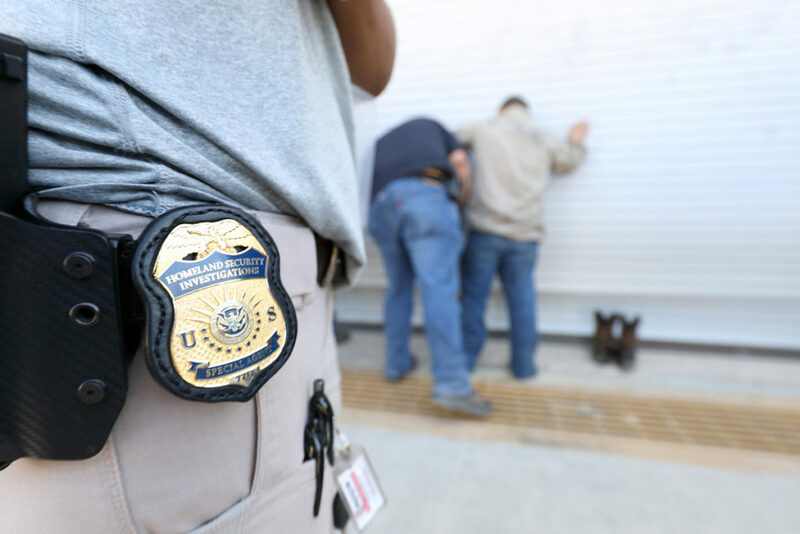 Under Obama, the number of arrests of unauthorized workers dropped, while penalties against employers increased, according to a 2018 Migration Policy Institute report. The Trump administration has combined aspects of both of his predecessors’ approaches. Under Trump, it’s clear the federal government wants “unauthorized immigrants to be looking over their shoulders, [and] knowing that work is not a safe space,” Pierce said. The enforcement environment makes many immigrants feel “very vulnerable, very persecuted,” and oftentimes afraid to go to local authorities to report abuse or crimes over fears that it could lead to their deportation, said Maureen Meyer, of the Washington Office on Latin America, a human rights advocacy group. “There’s a lot that hasn’t been talked about lately in terms of the impact that interior enforcement is having [on immigrant communities] in the United States,” she said. Last year, U.S. Immigration and Customs Enforcement deported more than 256,000 people, a 13 percent increase from the previous year. The agency said the 2018 total was the highest number of deportations since 2014. It’s still lower than the number of deportations during Obama’s first term. In 2012, for example, the Obama administration deported more than 409,000 people. But the administration later prioritized violent criminals and others who did harm in the U.S., Meyer said. That’s not the approach the Trump administration has taken. “There is no longer the prosecutorial discretion that we had the last few years of the Obama administration, which means that anybody that is here without the right paperwork is free game to be apprehended and deported,” Meyer said. The Trump administration has also created more obstacles for legal immigration, including for obtaining “green cards,” temporary visas and citizenship. The Trump administration has also required that immigrants seeking green cards — including those in the U.S. on work visas or people fleeing persecution in their home countries — do face-to-face interviews with immigration officials. Additionally, the wait times and backlog for citizenship applications have reportedly grown since Trump took office. 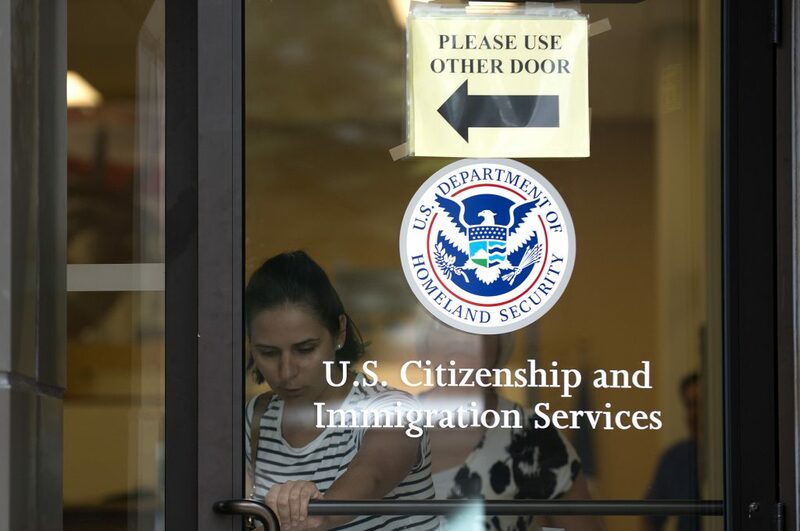 The approval rate for H-1B visas, an employment-based immigration application, has dropped as well, and the administration has proposed eliminating employment opportunities for the spouses of H-1B visa holders. The U.S. also plans to further reduce the number of refugees who are accepted into the country every year; Secretary of State Mike Pompeo announced last year that the U.S. will allow fewer than 30,000 refugees to live in the country for fiscal year 2019. That amounts to the lowest number of refugee admissions in decades. 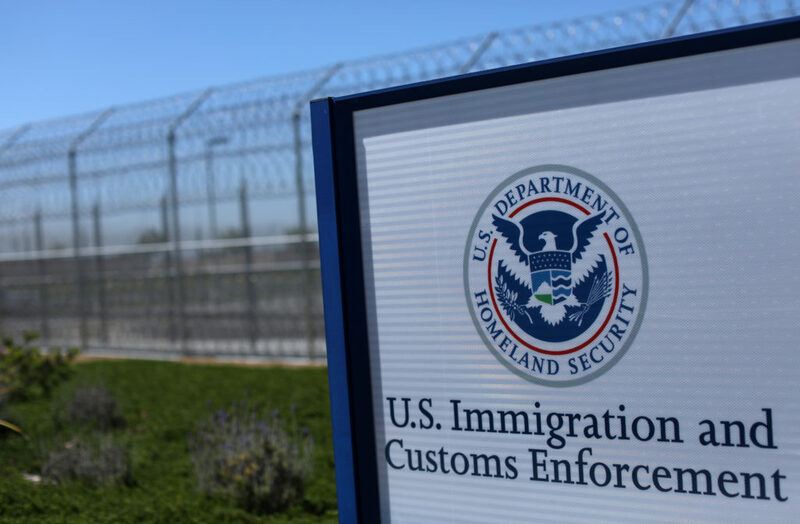 The processes for legal immigration have been slowed down “dramatically,” said John Sandweg, a former acting director of U.S. Immigration and Customs Enforcement under Obama. Sandweg said the Trump administration has “adopted a quantitative approach instead of a qualitative approach,” one that emphasizes that all undocumented immigrants pose a public safety threat to the United States. The Trump administration has eliminated the distinction between the two, he said. Last year, U.S. Citizenship and Immigration Services changed its missions statement, dropping a mention of the U.S. as a “nation of immigrants.” The agency also dropped a mention about serving “customers” with immigration benefits. Those changes in the mission statement demonstrate the government’s shift from providing benefits to being “more enforcement focused,” Pierce said. Other changes within the agency point to that shift, such as USCIS officers issuing more “Notices to Appear,” which are charging documents that initiate removal hearings, she added. The agency implemented that change in October. “The USCIS is going to be referring much more people to immigration court,” Pierce said. Republican strategist Alex Conant said Trump has also welcomed more anti-immigrant voices into the White House, like Stephen Miller, who is the president’s top immigration adviser. “It’s been a long time since we’ve had senior White House advisers arguing that immigration is bad for American workers,” he said. 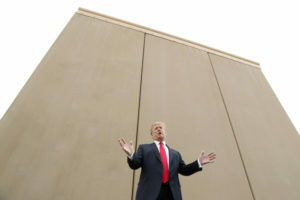 “[Trump] can make a legitimate promise here for more border security. 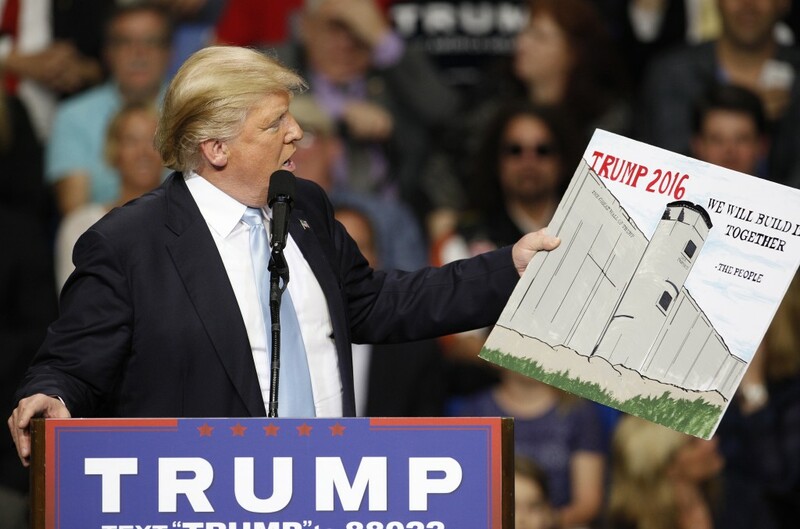 I think that gets conflated with his literal campaign pledge” of a border wall, Conant said.